El Economista (17 December 2018) reports that remittances received in El Salvador between January and November 2018 increased by 8.7% in comparison with the same period in 2017, and amounted to more than US$4,900 million [US dollars], according to the Central Reserve Bank (BCR). In these ten months the country received remittances from 160 countries, at the head of which was the US with US$4,602.4 million, followed by the European Union and Canada with US$46.8 million and US$43.8 million respectively. The 2.8 million Salvadorans who live in the United States sent a major part of the US$5,021.3 million in remittances which El Salvador received in 2017, this being the highest figure in history for the Central American country. Informe Pastrán (21 December 2018) reports that remittances received in Nicaragua during the third quarter of 2018 rose to US$372.8 million, an increase of 4.8 per cent compared with the same period in the previous year. Remittances up to and including the month of September 2018 amounted to US$1,097.4 million, a 7.6 per cent increase on the same period during 2017. During the third quarter of 2018, the major origins of these remittances were the United States (55.4%), Costa Rica (19.4%), Spain (11.5%) and Panamá (5.3%). The department of Managua continued to be the major recipient of the remittances (35.0%), with the department of Chinandega receiving 10.3%, León 8.2%, Estelí 8.0% and Matagalpa 7.0%. In October 2018, the Panamá Canal Authority gave notice that its lakes were ready for the possible arrival in early 2019 of the El Niño effect. El Niño is a climatic phenomenon associated with the warming and movement of ocean currents in the Pacific Ocean. In Central America the phenomenon can cause severe droughts. The two lakes which supply the canal with water are Lakes Gatún and Alhajuela which at the end of 2018 were almost at their maximum capacity. Experts predict that El Niño will not extend beyond the month of May in 2019 and that its effects will be light. The month of November generally marks the highest lake levels on account of the high levels of rainfall during October and November. May generally marks the end of the dry season in Panamá. The Authority is sensitive to the levels of water and their effects on the Canal because in 2016, when the effects of El Niño were much stronger, they had to impose a limitation of vessel draught. Around 6 per cent of world trade passes through the Canal and every time a boat passes through its locks, it requires 202,000 cubic meters of water. A map and longitudinal section of the canal are shown as a separate item in the website immediately following this brief explanation. Around 300 endangered Olive Ridley sea turtles were found dead and floating off Mexico’s southern coast in August. 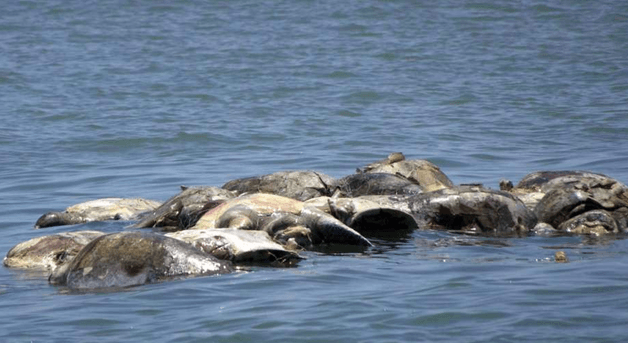 This follows a similar die-off close to Jiquilisco Bay on the coast of El Salvador in November 2017. 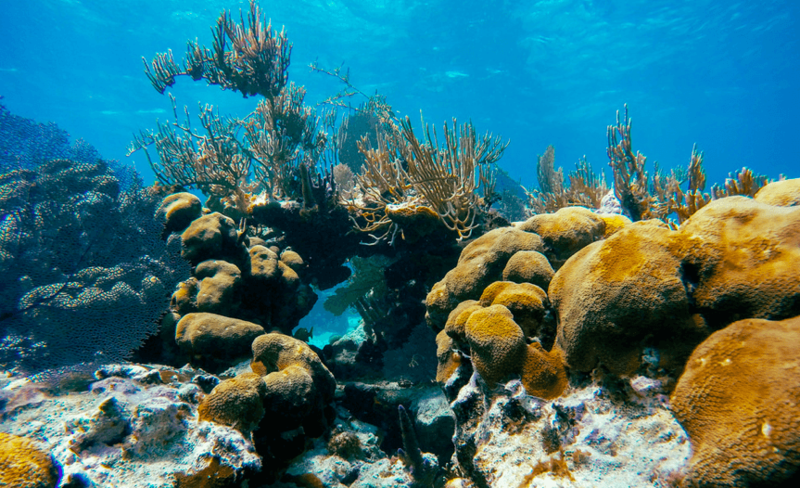 It is thought that the most recent case may be due to asphyxiation, fish hooks or harmful algae, but the matter is still under investigation. In the earlier case of the Jiquilisco die-off, the turtles are believed to have died in what is known as a ‘red tide’, in which nutrients or chemical runoff causes toxic algae to bloom, releasing deadly compounds into the water. The articles in the following links give further details about both die-off events. The current lack of attraction to international financial investment, made especially precarious because of Trump’s commitment to protectionism. Which of these ‘theories’ holds any degree of truth I do not know, but later this year when more of the second series of environmental impact analyses are reported, we may gain a better understanding of the issues. In the meantime, in April this year (2017) La Prensa (Managua) reported on an M&R poll of Nicaraguan attitudes to the canal project. 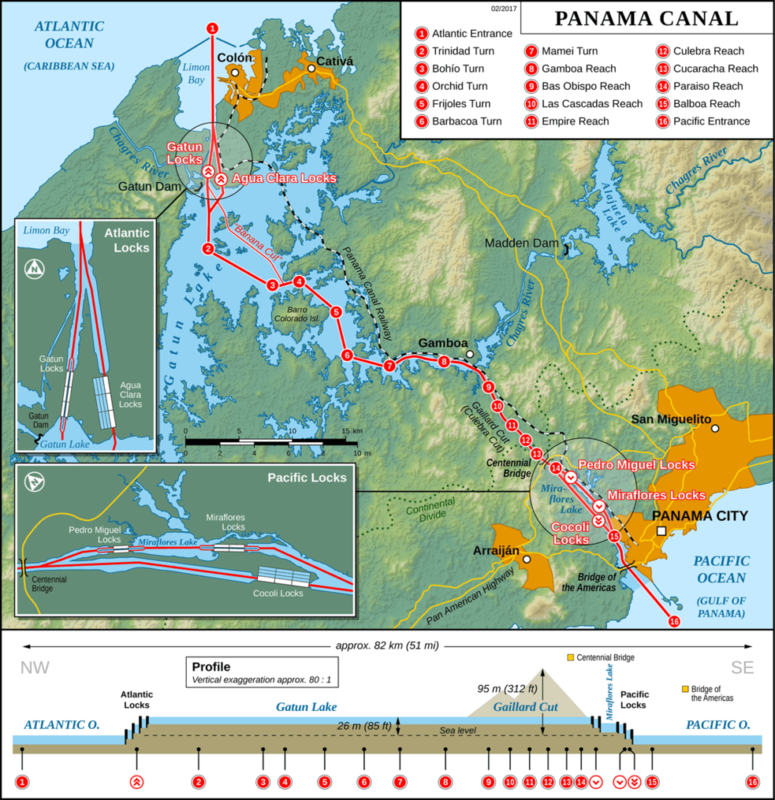 Approval of the Interoceanic Canal project has fallen since the project was announced in 2013, according to the results of a survey of 1,600 Nicaraguans, by M & R Consultants. The survey corresponds to the first quarter of this year. It was carried out face to face between the 17th of February and the 24th of April of this year, in the 15 departments and two autonomous regions of the country. It has an error margin of more or less 2.5 percent and a confidence level of 95 percent. Since December 2013, when the pollster, led by Raúl Obregón, began to ask about the Canal project, disapproval has grown by 16.3 percent. In December 2013, disapproval was at 12.1 percent; in December 2014, 17.1; in June 2015, 21.4 percent; in December 2015, 17.4 percent; in March 2016 26.4 percent; in December 2016, 19.4 and in April 2017, 28.4 percent. In the most recent poll, 63.4 percent of interviewees said they believed that the Canal project would go ahead if studies determined it to be feasible, while 31.9 percent responded that it was ‘unrealistic’ and that there would be no canal. Some 4.8 percent said they didn’t know or didn’t respond. On the 22nd of April, campesinos mobilised against the Bill for the Interoceanic Canal (Law 840) called for a national march in Juigalpa, Chontales, that was obstructed by the National Police. According to official information, the construction of the Canal would involve the investment of 50,000 million dollars to be completed in five years. Canal critics have pointed out that this would affect the natural reserves that stand in the way of the canal route and have also made the analysis that the concession law hands sovereignty over to the Chinese businessman. Despite the very best efforts of Anasha Campbell, Co-Director of Nicaragua’s Tourism Institute (INTUR), it is clear that the rising star of the Nicaraguan economy – tourism – has been dealt a huge blow by the crisis caused by the anti-government protests since April this year. In August the Tortilla Con Sal blog published an interview with Campbell in which she failed to make even one explicit reference to the protests or their effects on the country’s tourism industry. It is of course understandable that the INTUR and its officers should try to amplify their claims of an attractive and rapidly expanding industry – that’s precisely what it was before the troubles began in April. In fact it had already gained an enviable reputation and was fast overtaking all other sources of foreign income in the country. But it was rather disingenuous to try to hide the devastating effects of the crisis on the industry – although, to be fair, what the blog published was probably only a small proportion of the whole interview. By the end of August most of the road blocks or barricades had been dismantled and movement around the country was once again possible. (Incidentally, that did not indicate that the troubles had come to an end.) Associated Press reported that the tourism sector had “become Nicaragua’s top source of foreign currency in the past two years,” but had shed as many as 70,000 jobs as a result of the protests. Revenue at hotels and restaurants fell by 45 per cent in June compared to 2017, according to Nicaragua’s Central Bank, whilst construction fell by 35 per cent and retail 27 per cent. El Economista reported that the National Chamber of Tourism (Canatur) had estimated a $400 million loss in tourism compared with 2017. Canatur’s study calculated that 83 per cent of tourism companies had reduced their services by at least 30 per cent, and that since the start of the protests more than 60,000 people had been laid off in the tourism sector along with 16,000 reduced to part-time work. Within three months of the start of the protests, the city of León’s most up-market hotel, El Convento, had been forced to close for lack of guests. Similarly in La Concha, the Spanish School and Eco-Hotel La Mariposa (http://mariposaspanishschool.com/) also had to close, although it is good news to hear that they have now re-opened for bookings. Towards the end of August, the first cruise ship to call for three months docked off San Juan del Sur. Around the same time, Nicaraguan tourism businesses asked foreign governments to change their travel advisories which strongly advised travellers not to visit Nicaragua. There may be the initial signs of recovery, but these are small and the country now has a long way to go to reach the dizzy heights of the previous season. More importantly for many people who lost their jobs in tourism during the crisis, there may be some small hope that a recovery of the industry will create anew their jobs. But it is highly unlikely that the recovery will be rapid – a reputation will not be rebuilt overnight; although as we have seen, it can be lost overnight. Alliance for Global Justice (22 August 2018), NicaNotes – Briefs: ‘Cruise ship ‘Crystal Symphony’ arrives in San Juan del Sur’ and ‘Tourism businesses ask foreign government to lift travel alerts’. El Economista (20 September 2018), ‘Nicaragua dejará de percibir $400 millones en turismo por crisis’. La Mariposa (September 2018), ‘Closure of La Mariposa’, La Mariposa e-list communication. La Mariposa (4 October 2018), ‘We are taking a risk, but let’s make it work for everyone – we are now open’, La Mariposa e-list communication. teleSur (25 August 2018), ‘Tourism, Democracy and Development in Nicaragua’, an interview by Tortilla Con Sal with Anasha Campbell, co-director of Nicaragua’s Tourism Institute. United States Department of State (12 September 2018), Travel Advisory for Nicaragua. Despite being one of the poorest countries in Latin America, Nicaragua is also one of the safest. An opinion polls show more than 70% support for the canal. It would create 50,000 jobs in a country which will add over 350,000 to its working-age population in the next five years. Nicaragua’s growth rate is 4-5%, but the government believes it needs to be 8-10% if extreme poverty is to end. It’s also estimated that 30,000 people will lose their land (Amnesty says the real figure is 119,000). About 100 of these accompanied Jagger and Ramírez as they led the latest protest march. Organisers say it would have been bigger but for police holding up those intending to join in. Ramírez says her family is constantly threatened. Nevertheless, she’s managed to organise 91 marches so far, fully reported by the opposition media. The irony is that the canal might never go ahead. It’s a direct competitor to the recently widened Panama Canal, 1,000 kilometres to the south-east. But it will be almost four times its length, requiring ships to lay up overnight or navigate in the dark. The transit costs will be a lot higher than the $450,000 a large ship might pay for a two-way crossing of Panama. The government says that HKND, the Chinese firm which holds the concession, is still carrying out 26 follow-up studies recommended by ERM, hence the delay. But the press in China thinks the project has already been ditched in favour of a massive new container port in Panama. None of the investors required to fund the $50 billion projected cost have yet been named. The following press release from Friends of the Earth UK refers specifically to the situation within the UK and case studies within the UK. 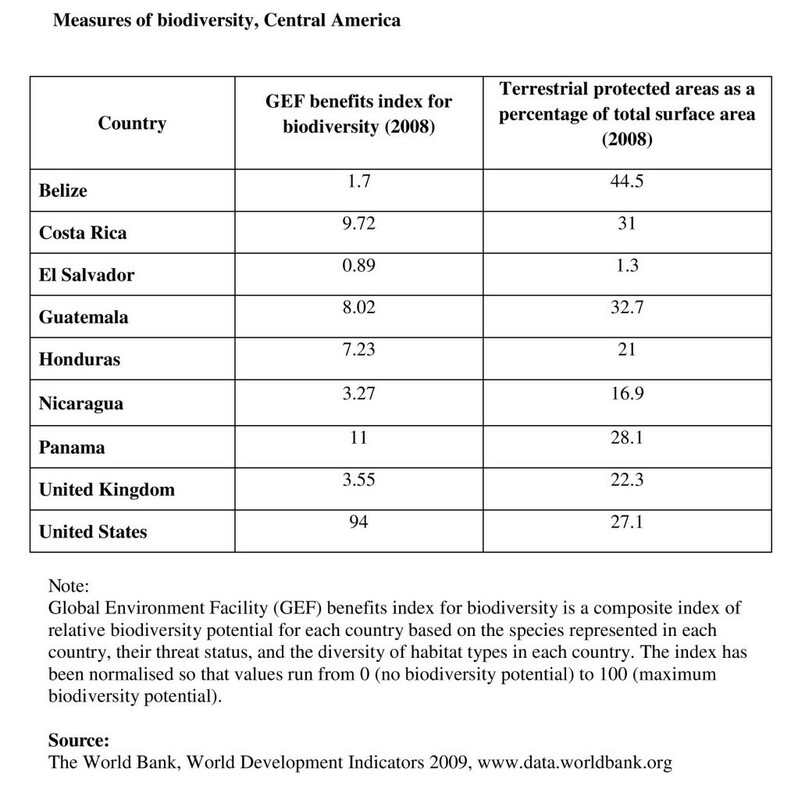 It is given here because of the danger of the use of biodiversity offsetting on an international stage, especially in relation to the rich biodiversity in Central America. Biodiversity offsetting is already being used by developers to justify schemes that will cause irreversible harm to nature, warn over 15 environment groups across the world today (Monday 2 June 2014), ahead of a major biodiversity offsetting conference in London this week. It comes as Environment Secretary Owen Paterson is soon to decide on controversial plans to allow developers to destroy precious wildlife habitat, provided there is an attempt to offset the damage elsewhere. Such schemes are known as biodiversity offsetting, and FERN and Friends of the Earth are concerned that its introduction could allow developers to push through projects that would have devastating impacts on irreplaceable habitats and our wildlife. New evidence published today by Friends of the Earth and FERN identifies a number of cases around the UK where offsetting is already being proposed by developers. This evidence and the accompanying photographs will be showcased in a public meeting in London tonight organised by environment groups from around the world. One such case is Smithy Wood, near Sheffield, an ancient woodland much loved by local people, which is now threatened by a motorway service station. The developer has proposed planting new trees and improving management of another woodland to offset the damage, but local campaigners say they would still lose a forest that it would take 850 years to re-establish. “Developers are already gearing up to use biodiversity offsetting to bulldoze some of our most precious wildlife sites. “There is no clear evidence that biodiversity offsetting works – attempts abroad have frequently ended in failure. “Offsetting is already weakening the UK’s planning laws and exposing nature to new threats. “The EU – which is considering similar legislation – should watch closely before going further. 3. The conference ‘To No Net Loss of Biodiversity and Beyond’ will take place on 3 and 4 June. It is hosted by BBOP, an organisation committed to biodiversity offsetting along the ZSL, Defra and Forest Trends http://bbop.forest-trends.org/events/no-net-loss/ Isaac Rojas from Friends of the Earth International and Hannah Mowat from FERN will be speaking in a plenary session on Tuesday 3 June 2014 to offer an alternative to the pro-offsetting perspective being promoted at the conference.